T.I.N Magazine has compiled up a detailed biography on the recently deceased controversial Governor Alamieyeseigha showing a lot of things you may not know about him. prison. He was later granted pardon by president Goodluck Jonathan in 2013.
various air force positions inEnugu, Markurdi, Kaduna and Ikeja. 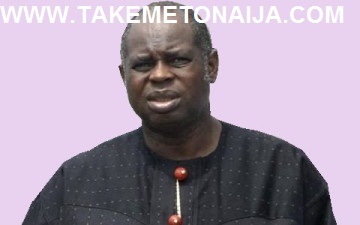 Alamieyeseigha retired from the air force in 1992 as a Squadron Leader. Research and Development of the National Fertiliser Company (NAFCON). re-elected in 2003. Vice President Atiku Abubakar attended the March 2003 event that kicked of his campaign for reelection in 2003.
his assets were ordered to be forfeited to the Bayelsa state government. office of Solomon and Peters Inc.
DoJ’s fledgling Kleptocracy Asset Recovery Initiative. Jonathan, but his pardoning was criticised by so many Nigerians. former Governor of Bayelsa state, 29 May 1999- December 2005.
annual income of N1,500,000 (US$12,000). Metropolitan police on charges of money laundering in September 2005.
found in my bank accounts. which I swore on oath to uphold. e. Acquisition of £ 1 0 Million worth of properties in London. to Nigeria dressed like a masquerade. whose word cannot be relied upon. d. That I jeopardized the safety and besmirched the reputation of Nigerians living in or visiting The United Kingdom. f. That by jumping bail Chief I breached my oath to respect international law. Igonarwari. I was found me guilty of gross misconduct. that my assets, including N1 billion shares be forfeited. d. Property at No. 68-70, Regent’s Road, London, N3 bought at 3 million Pounds Sterling. Saleaka Alamieyeseigha and Margaret Alamieyeseigha. $1, 600,000.00 as at August 2003.
purchased for £1.4 million on 6/7/2001. purchased for the sum of £241,000.00 on 28/10/99. July 2002 for the sum of £3 million. • A property at V & A Waterfront, Cape Town, South Africa worth over £1 millon. • I own Royal Albatross Properties 67 a company registered in September 2005 in Cape Town, South Africa. illicit gains I made as Governor of oil-rich Bayelsa state in Nigeria. 16. On 2 July 2008, Nigeria obtained judgment over my stolen assets in London, Cyprus and Denmark. house that Alamieyesigha bought in the state of Maryland. Assets Recovery Initiative (STAR) case. Jonathan on March 12, 2013.
to go round all potential voters! On 10 October 2015, he reportedly died at the University of Port Harcourt Teaching Hospital after a brief illness. He reportedly slipped into a coma and was placed on life support but couldn’t make it.